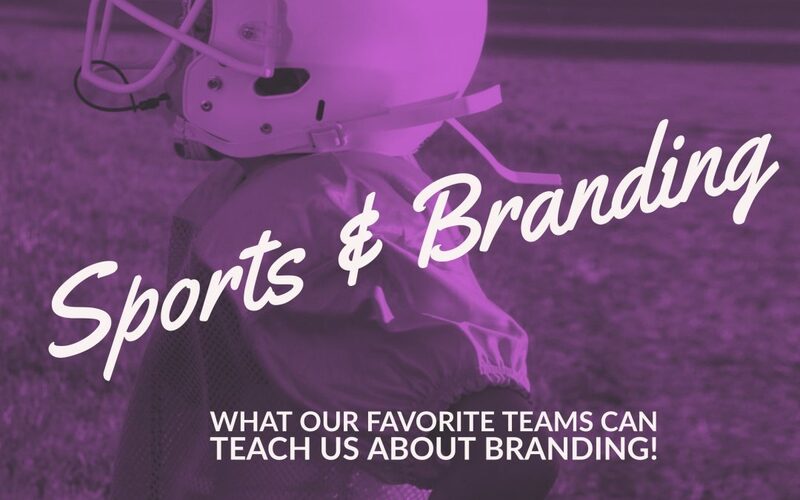 Sports and Branding: What Sports Teams Can Teach Us about Branding! A week ago, we had the Super Bowl; the final championship game for American Football. I admit, I don’t know a thing about American Football or European Football for that matter. I watch for the Super Bowl every year to be with my family and friends. Now, I’m a graphic designer, but I’m also a branding and advertising fan. I look at everything through a branding filter. Honestly, some of my favorite branding belongs to sports teams. Sports teams have branding right because branding is about building a culture around your company. They do that so well! We all have our hometown favorites, even if that is no longer the city we physically live in, that team is “Our Team”. Each of these teams has a culture and a “personality” that surround it. So let’s break it down. Branding is made up of a few components. The ones I’m going to look at are Identity, Values, and Customer Experience. Okay, friends, here we go! The two things that make up identity are color and iconography. Color. This one is pretty obvious for a sports team. Some teams even have colors named for their brand, such as the Denver Broncos with “Bronco Orange”. However every team has very specific formulas for their colors. Everything the team does, including their uniforms, signage, and everything else are in those colors Why? Well, fans know when they see those colors that it’s for that specific team. Even with out ever seeing a logo or slogan their fans know it’s them. See Midnight Green and Silver, it’s the Philadelphia Eagles, no questions asked. Much like their brands do change their colors as their logos change. The Patriots for example, changed their colors a couple of times in the past from a brighter blue to the “Nautical Blue” that is currently featured. Speaking of logos, Iconography or images is another facet of brand’s identity. This icon is plastered everywhere, but most noticeably on uniforms and marketing materials. Much like team colors their used as a form of identification for the team. See a Fleur-De-Lis, it’s the New Orleans Saints. Often the logo also works into the marketing for the team with slogans such “ Bear Down” for the Chicago Bears. “Raidernation”, “Cheeseheads” — even the fan names hint back at the team colors, icons or slogans. All of these colors and logos are meant not just as forms of identification for the team. They are also meant to show off how the character traits the team is supposed to embody. These character traits make up the team’s value set. A business’ value set is really the corner stone or central piece of their brand. It’s what creates the personality for the brand. A business needs to ask itself what it stands for first and then use that to influence everything else. The easiest way to determine values for a business to follow is to think of the business as a person and describe their personality. The other popular method is to choose a word that embodies the business and then break that down into individual traits. For sports teams, in general, traits such as toughness, bravery, persistence and the like are typically idealized qualities for them. This is why so many teams have words like “excellence” and “ commitment “ in their marketing and their team statements. (sidenote: these qualities also influence why many of the teams are named for either a predatory animal, or a group of people with historical importance in the United States.). The last thing that really sets up a corporate culture for sports teams are the games. The games are, quite literally, their arena of business. This is where it all comes together. From the smells, to the foods, to the merchandise, these little details make up a great experience for someone visiting the games. If the players do well and win the experience is even better. Customer experience also ties into the employee behavior. Every one from the janitorial staff to the snack bar servers to the facility managers is part of a customer experience. A polite, happy employee is going to make a very different experience for the customer than a rude, grumpy employee. Now for those watching at home, they have to rely on two things, the societal culture surrounding American Football and the marketing of the team’s value system. This creates enough loyalty for folks watching at home to be loyal to a team, even if they haven’t been to a game. These experiences weave their way into the team’s story. Experience, Values, and Identity blend into the perfect story and that creates a culture and a successful brand. Need Help Finding Your Brand Voice? Contact me and let’s get started on building you a great brand identity!